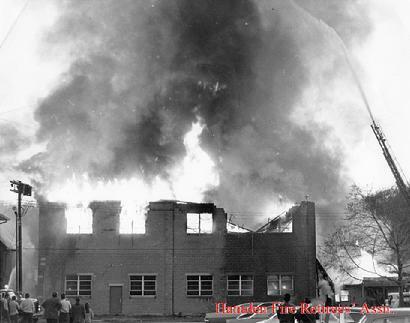 H & D Paper Products Co.
Last week, the website featured the back-to-back fires at Corey's Lumber Co. and Howard Johnson's. 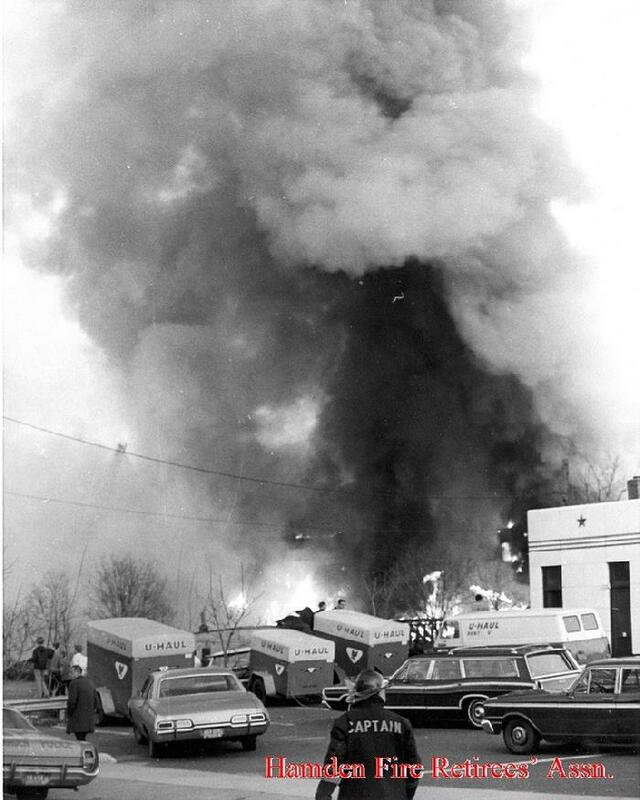 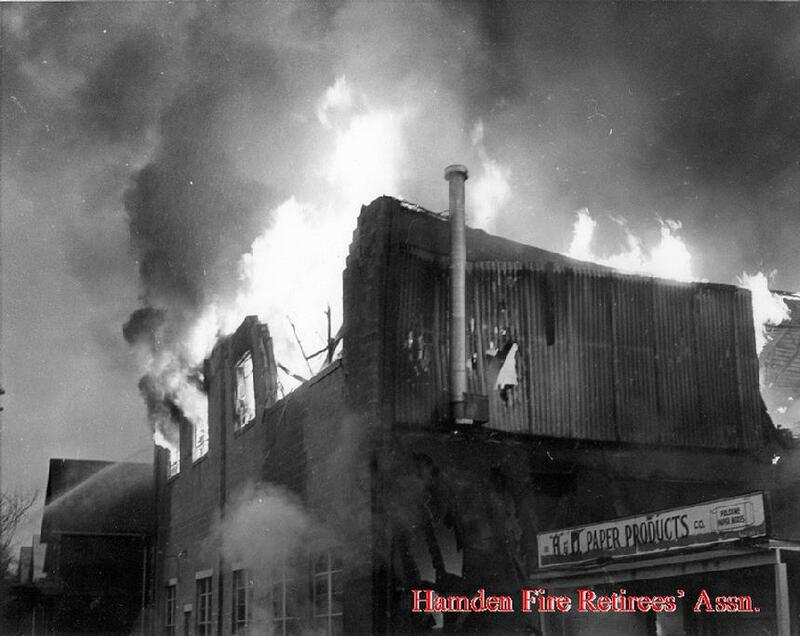 Exactly ten years to the day earlier, on a quiet Sunday evening, one of its most spectacular blazes in Hamden Fire Department history struck the H&D Paper Products Co. at 110 Webb Street. 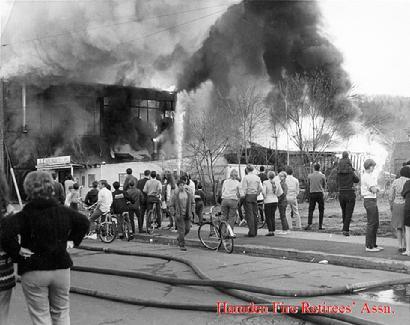 The loss was estimated at $500,000. 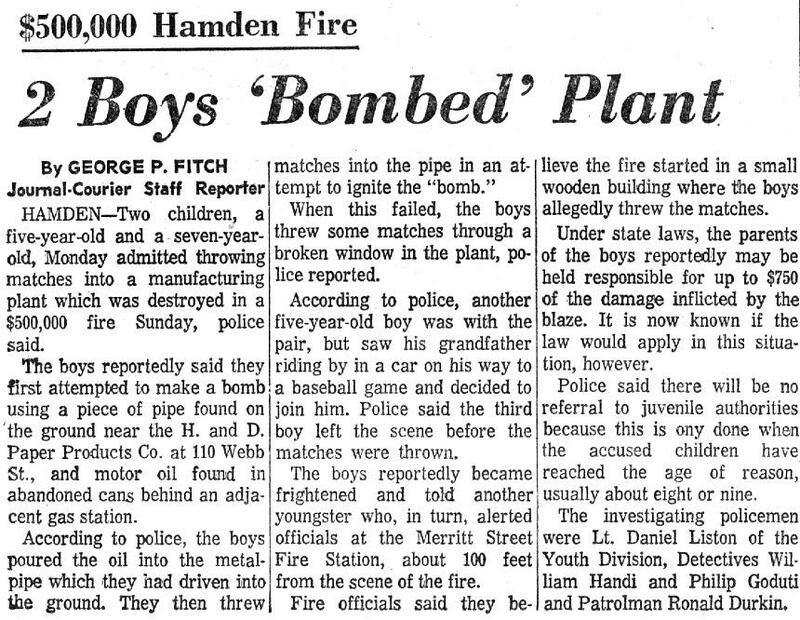 A police investigation later revealed that the fire was started by two small boys who were playing with matches. 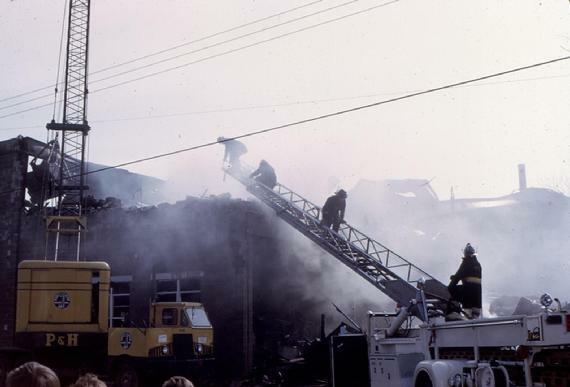 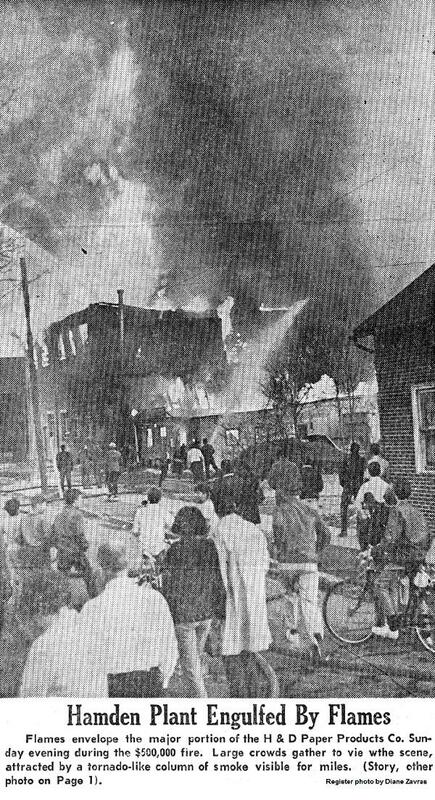 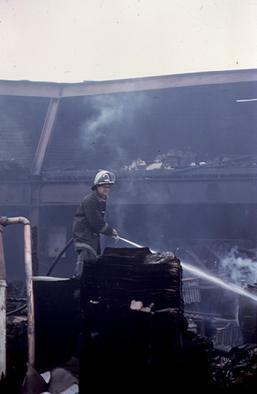 The fire building was located only a couple of hundred feet from the rear of the Merritt Street Station 6, which was still in service. 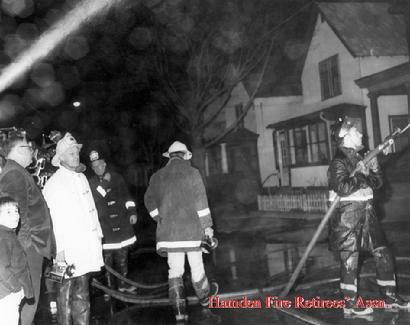 Almost all Hamden career and volunteer companies responded, as well as apparatus from North Haven. 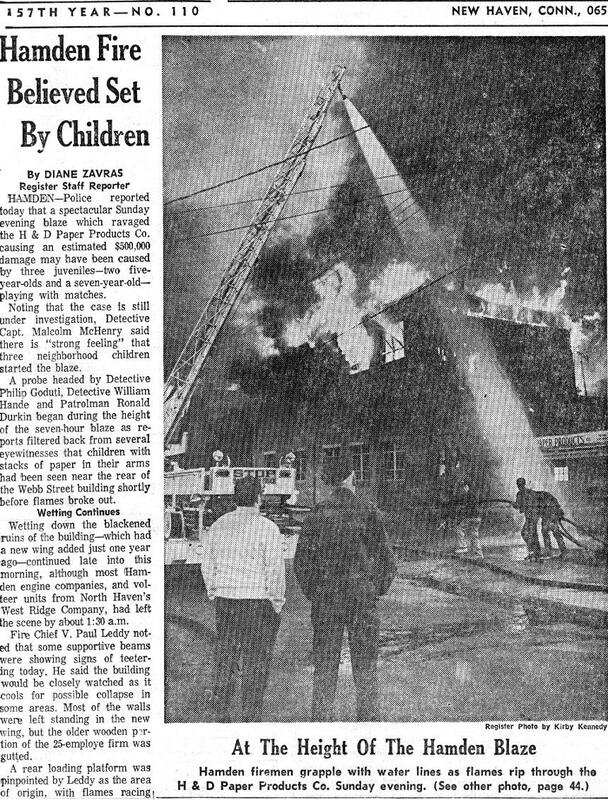 These photographs and several newspaper articles provide graphic evidence as to the severity of the blaze. 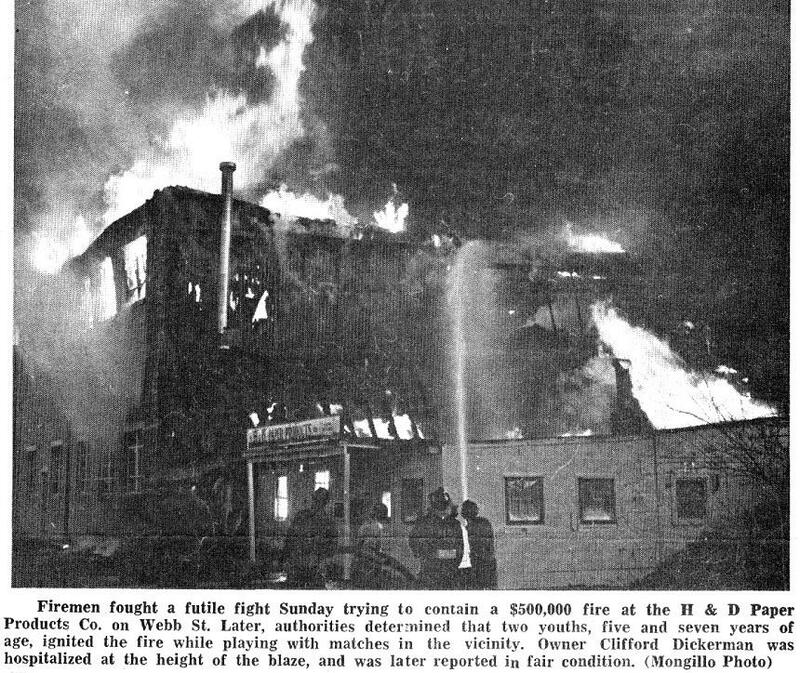 All of the newspaper articles below were provided courtesy of G. Donald Steele.